Versatile Master Knifemaker Gil Hibben has over 45 years of experience in the world of custom knife making. He is the creator of some of the most widely recognized knives in the industry today, including the Rambo III bowie knife, made specially for the Sylvester Stallone film, and the Klingon weapons for Paramount Pictures' Star Trek movies. The Gil Hibben designed Annual Fantasy Knife Series is the most collectable line of fantasy knives around. Gil Hibben uses his firsthand life experience to contribute to his creations. His experience as an Alaskan hunting guide lead to the popular Alaskan Knife Series, and an endorsement from the Alaskan Professional Hunters Association. His experience as a throwing knife expert contributed to his well designed Throwers. 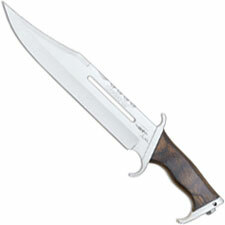 United Cutlery is proud to offer production knives based on Gil Hibben's designs. 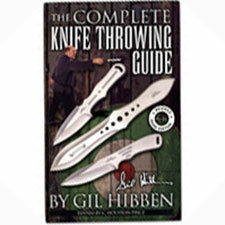 Gil Hibben Knives: Gil Hibben knife and Knife design links are to the left hand side of the page.